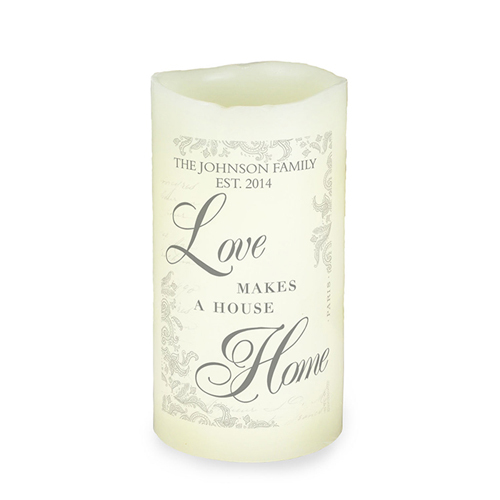 Personalise the Love Makes a Home LED candle with up to 2 lines of 20 characters of personalisation. The wording 'Love MAKES A HOUSE Home' is fixed. The candle takes 3 x AAA batteries.